The planning application for Calderdale Council’s refurbishment of Princess Buildings, opposite Halifax Town Hall, has now been approved. At the meeting of Calderdale Council’s planning committee on Tuesday 1 April 2014, plans were given the go ahead for the next phase of the Council’s scheme to reduce the number of buildings that staff work from – modernising and making better use of offices in Halifax town centre. This will be achieved by operating out of fewer buildings and providing technologies that help deliver services more efficiently and effectively. Calderdale Council staff are transforming the way they work and two buildings are now newly operational with more than 500 staff working smarter. Halifax Customer First Facility opened in November 2013 and the recent refurbishment of Westgate House has transformed the space with staff moving back in during April 2014. The next phase of the programme is the refurbishment of Princess Buildings. The Grade II listed building will be modernised, refurbished and redeveloped. The beautiful exterior of the building would be complemented by a completely redesigned interior. The Secretary of State will now be asked to grant listed building consent, which is needed before the refurbishment of Princess Buildings can get underway. 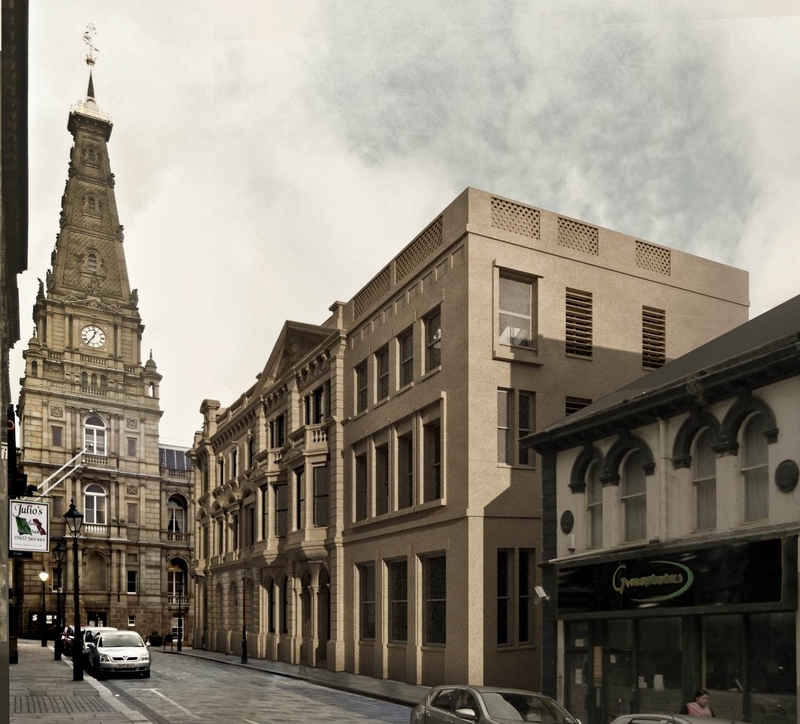 “The transformation of Princess Buildings is a crucial part of our development programme for Halifax Town Centre. This entry was posted in All news, Council and democracy, Heritage, Restoration. Bookmark the permalink.